With Me-Made-May started, I've been evaluating what I really wear. I don't wear silk jersey to clean the toilet, change the cat box, or drive kids to and from school. Being a Mom is not glamorous. My yoga pants have pockets! In all honesty, I have been known to throw a coat over my nightgown and slide my wool sock wearing feet into Mr. Toad's flip-flops to run the kids to school. Yes, I do worry about having car trouble dress like this. I really try to be dressed and presentable, but this is the reality. Me-Made-May is helping with this. The weather is also. What I really wear in this spring-almost-summer weather are jeans, yoga pants (the new sweats), t-shirts, shorts, and skirts. I have a few pairs of jeans and pants that are presentable and appropriate. I have now made a couple Sorbetto tops and a couple quick tees. I needed some super comfy hang out yoga pants. back and sew around pockets and then down side seam. I already wrote about the quick tees. Now for the quick yoga pants. One thing I love about these are that they have pockets. 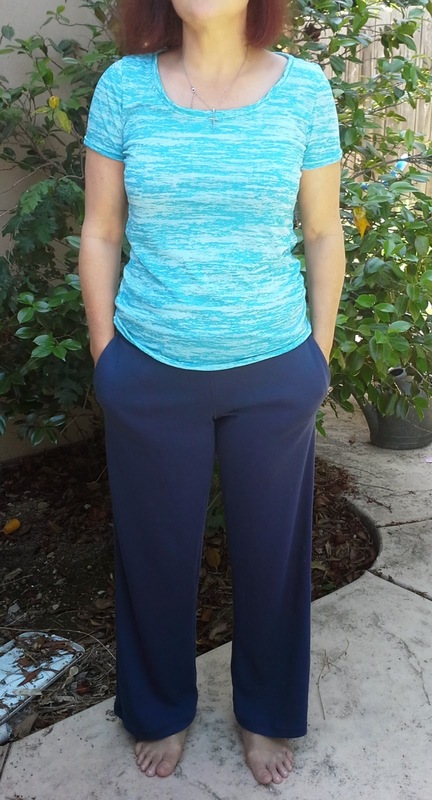 These yoga pants, like the quick tees, are from the Craftsy class Sewing With Knits (affiliate link). 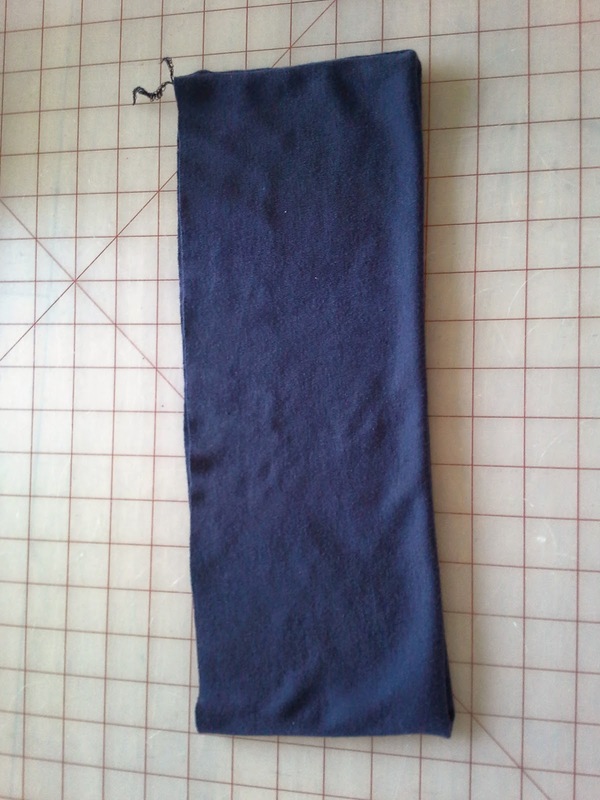 Because I had planned my wardrobe out for May, I knew I needed a navy knit for these pants. Unfortunately, I could only find a cotton/poly interlock. I love the way they feel, but they don't have lycra for the added stretch. I decided to make them with the interlock anyway. One of the characteristics of interlock is that they have stretch across the grain only. This is two way stretch. It is also hard to tell which is the right side because the knit is the same on both sides. 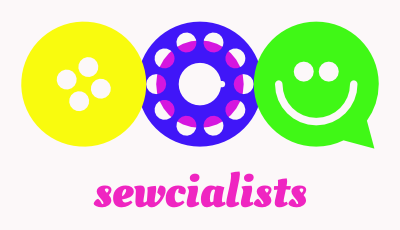 In Sewing With Knits (affiliate link), she tells all about the various knits and the benefits and drawbacks of each. She also discusses fiber and material types. There are only four pattern pieces--front, back, pockets and the fold-over waistband. Cutting was quick as well. The sewing was pretty straight forward, except for the pockets. I didn't use the directions in the video because I used my Brother serger (affiliate link). Sew the side of the waist band with right sides together. The first seams are the front and back. Then the pockets are serged with the tops flush to the top of the pants. 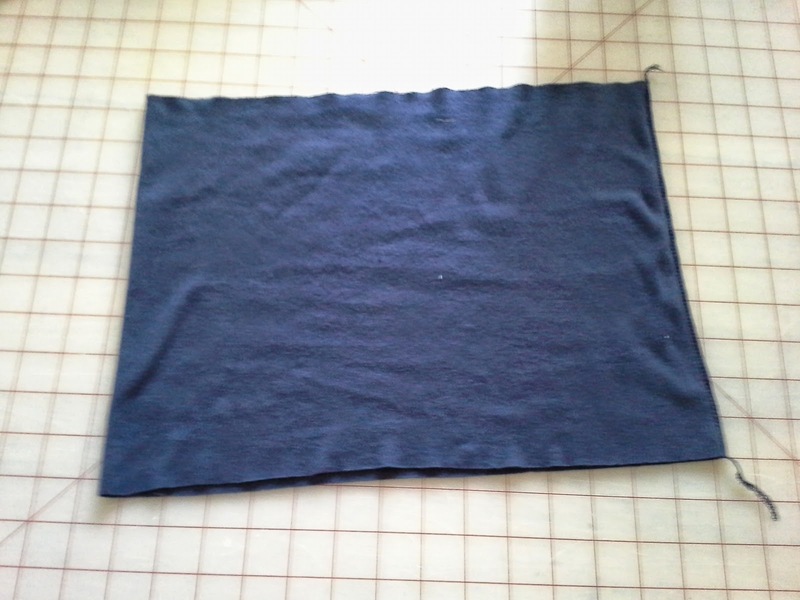 This leaves the pockets coming straight out the sides and I stitched from the top of the pockets, around and stopped before the serger knife cut into the side seam. I then stitched very carefully and pulled the fabric away from the knife for the last few stitches, then cut the thread tail and rearranged to start the side seam. I did this on both sides, then the inseam. is inside and the raw edges are together. The waistband had one seam to close it into a big loop before folding the wrong side inside and attaching it to the top of the pants. 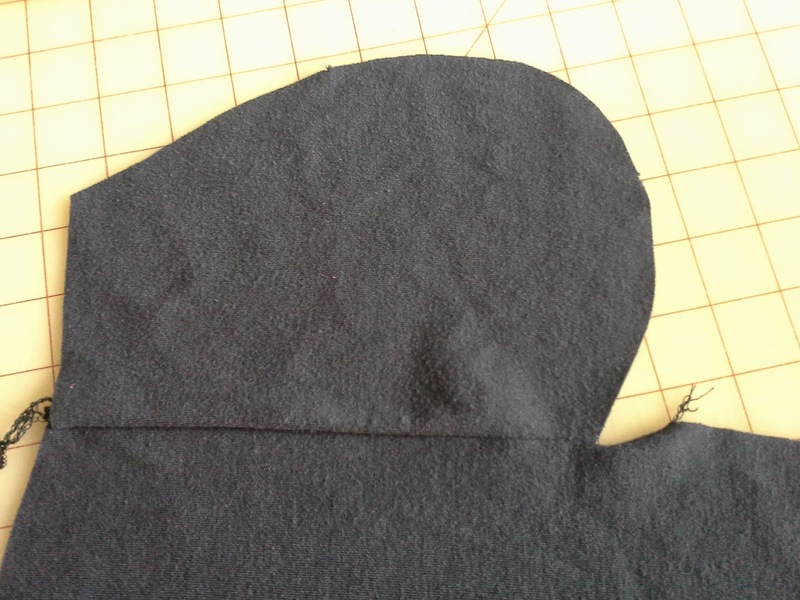 Make sure that the pockets are to the front before stitching. 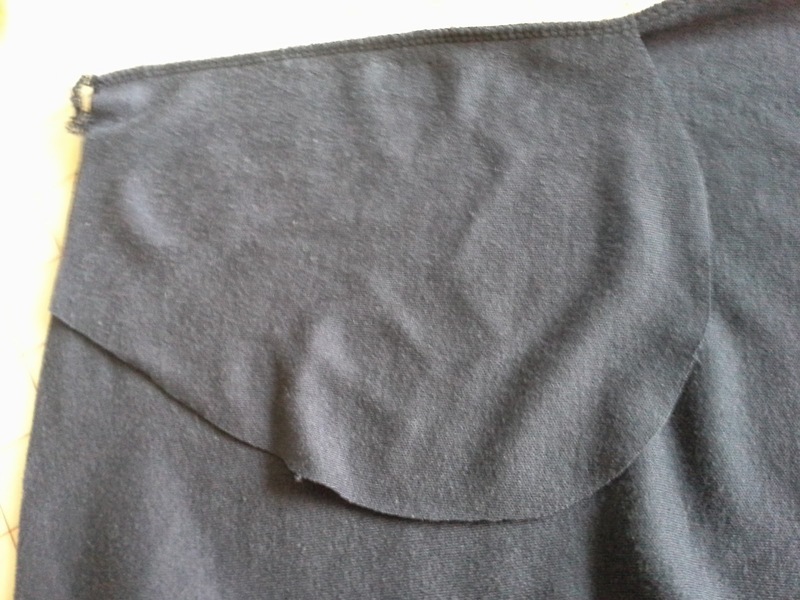 Once the waistband is on, use the sewing machine to sew a hem. Once the pattern was printed, taped and cut, the cutting of the fabric and sewing took less than an hour. patterns and is super comfy. I made these on the smaller side of my measurements. They are a little loose and I may add some elastic. I don't think having lycra would have changed it. Unfortunately, the awesome pockets make it more difficult to adjust. Luckily, these are made from inexpensive fabric and did not take a lot of time. They are definitely comfy and I am wearing them today!!! 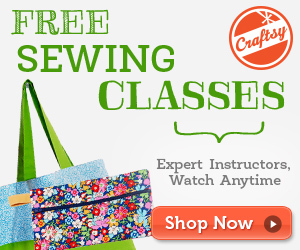 There are five patterns included with the Sewing With Knits (affiliate link) class. These yoga pants, t-shirts, pull-over hoody, skirt, and a dress. I plan on making all of them. This post contains affiliate links. This means that I will be compensated if you make a purchase through these links. Your yoga pants do look great and comfy on you! 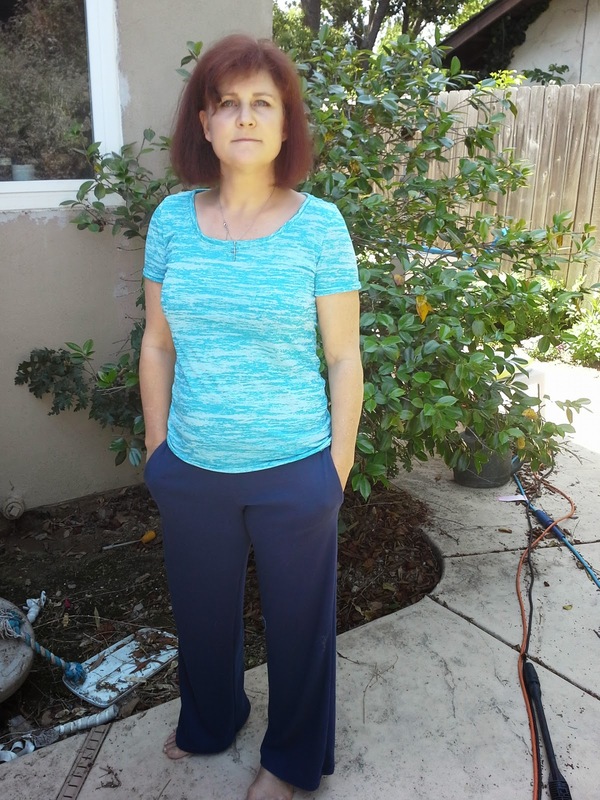 I use Silhouette Patterns Three piece Yoga Pants pattern to make all mine and I get an amazing fit for not only me but for all my Sewing Students. I love that pattern! lol, same here. I totally worry about something going wrong with my car or being stopped by the cops while I'm taking the kids to school. But my mornings are so crazy I just don't have time to try and look descent. I love your yoga pants. They really look comfy. I think it is a good idea to make a Mom uniform - it will work, and work with your lifestyle. I think we all have to be realistic about this - most of us live very far from the glamorous lives depicted in clothing magazines. I often wonder how Mrs. Cleaver was able to do her housework in her beautiful dresses! To be honest, I usually sew in my pajamas and barefoot! If I can't find the shoes I want for an outfit, I look under my sewing machine. I like your "mom" uniform! I am still trying to find wardrobe pieces to put on and look casually chic for hurried morning moments. Luckily, my hubby drives our son to school, so I am usually ready by the time I take our daughter to pre-K. I'm glad you are enjoying Craftsy's class. I'm trying to make my wardrobe more casual chic. It really isn't much more difficult to put on nice casual clothes than super casual. There is just something about doing the morning chores in clothes that took a few minutes to sew than a few hours. I do try to change later in the day. I enjoyed this Craftsy class. When I started with knits at the beginning of the year, this helped calm my fears. The yoga pants are comfy (although a tad big for me). Next on my to-sew list is the T-shirt. I think your drop-off to school outfit is great! Thanks, Annie. I think the yoga pants are sized big. I cut an x-small for my 36 inch hips. The waist is also generous. I think the class is good for those without a lot of experience with knits and the patterns are very usable basics. I love how your pants turned out!! Cute and comfy! I also took that Craftsy class and loved it. I love the ease and pockets on your pants........I will have to take another look at the pattern! Thanks, Vicki. I think the weight of the pockets is too much for the waistband. I may have to add some elastic. I do like all five of the patterns included with this class. Me Made May is def showing my lack of drop off appropriate me made items to. I have this class but have yet to made any patterns from it, just gleamed the gems from it. I will have to revisit it. I bought the class for the basic patterns. 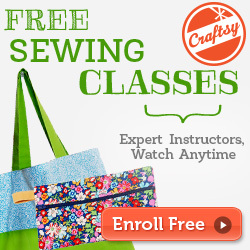 The class is really for beginner and for machine sewing instead of serger. I actually love the patterns that I have sewn--easy, quick and functional.